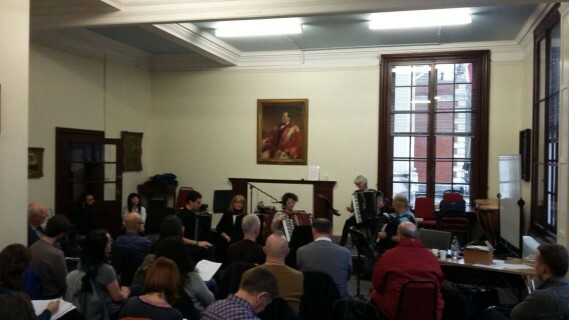 Accordion teachers, students, professionals, composers and UKAAT supporters packed into the Henry Wood Room for UKAAT’s first workshop on February 7th 2016 at the Royal Academy of Music. The day kicked off with a presentation by Romano Viazzani (UKAAT President) outlining what UKAAT’s aims are and what they have been doing since their initial meeting three years ago along with their hopes for the future. This was followed by a talk and workshop given by Prof. Owen Murray and Romano Viazzani on teaching basic skills to students. 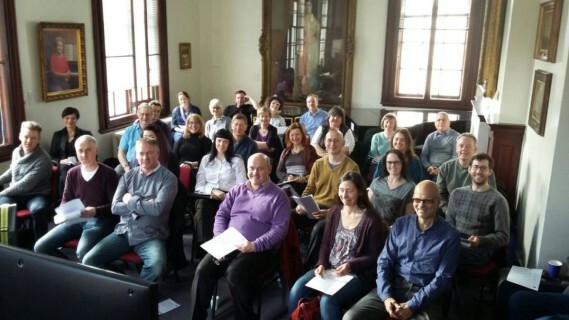 Ideas on all manner of basic skill teaching from posture and confidence in performance to finer points such as articulation and bellow skills were covered with participation from the workshop-goers. A video clip was also shown to demonstrate the freedom that comes with good posture. Some exercises were put forward to help improve certain aspects of playing as well as some ideas for chord combinations on standard “Stradella” bass. After a mid morning break the workshop continued explaining how free bass works and its ever increasing importance in the world of Music. 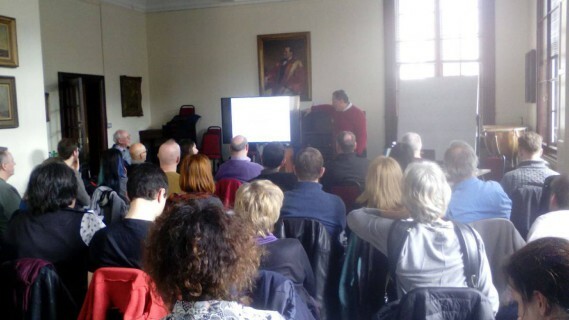 Several systems were explained with Prof. Owen Murray drawing comparisons between the C Griff System Free bass system and the mirror image of the C System Right-hand button-board. Then Vice President Ian Watson spoke on the B griff System and it’s relationship to the right-hand B-griff button-board. Various diagrams and technical exercise fingerings were made exclusively available to attendees for download. 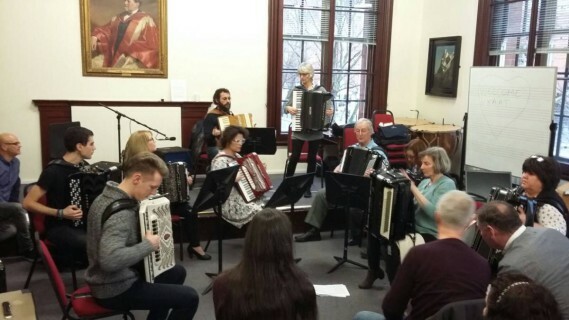 The end of the morning session was rounded off with a short concert by the tremendous students of the Royal Academy of Music’s accordion department. Ben de Sousa and Soprano Elly Broomfield kicked off with an impactful Haydn’s Benedictus from “Little Organ Mass” and Music for a while by Henry Purcell. 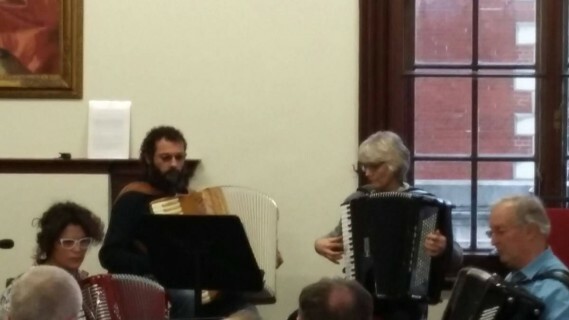 Then Inigo Mikeleiz-Berrade played a beautiful and authentically Spanish, Albeniz’s Cordoba followed by Franck Angelis’s Study on Chuiquilin de Bachin. More chamber music followed next with Iosif Purits supporting Cecilia Bignall on cello for J.S Bach’s Sonata for viola de gamba and harpsichord and Manuel de Falla’s Suite Populaire Espagnole. As if almost to underline the topic of dynamic-shaping and articulation covered in the earlier workshop, this performance was an object lesson in how the accordion’s left-hand can ably support a cello to the point of almost believing there was another cello playing with this duo, so well crafted was Purits’s control of the lines played on his free bass. A very mauture performance of Domenico Scarlatti’s Sonata in A major and Zolotaryov’s Sonata No.3 followed and was so appreciated by the cheering audience that brought Bartosz Glowacki back on for a curtain call. Finally, a blistering performance of Rodion Schedrin’s short piece Toccata by Iosif Purits. 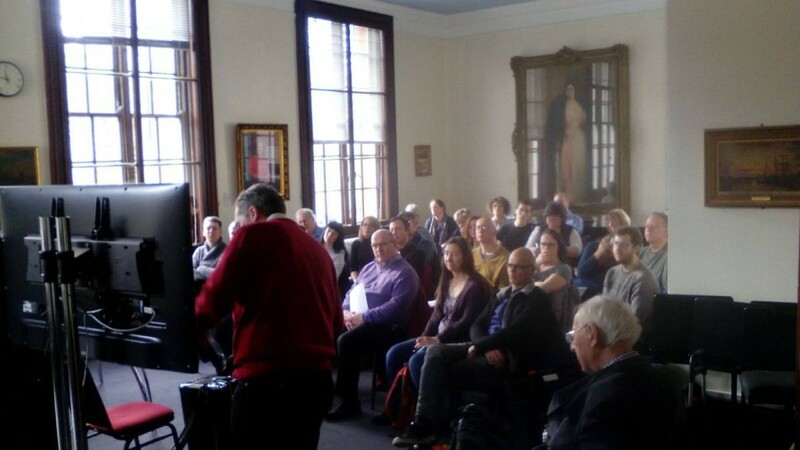 After a pause for lunch, Roland Williams gave a brief talk on a recent book he and Owen Murray translated and compiled about the life of Toralf Tollefsen (available form this site) and some wonderful archive recording of Tollefsen was heard music to the audience’s delight. 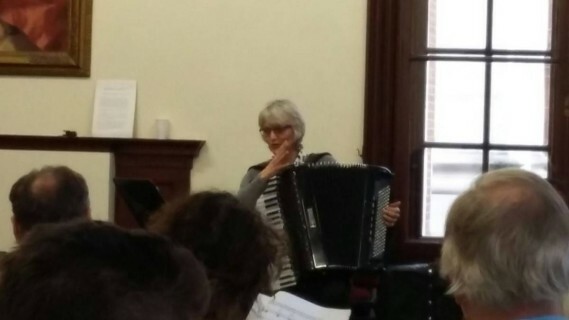 Once the initial shyness wore off the accordions were donned by the workshop participants for the very enjoyable and informative workshop given by Karen Street on her rather unique way of playing jazz using almost exclusive free bass. 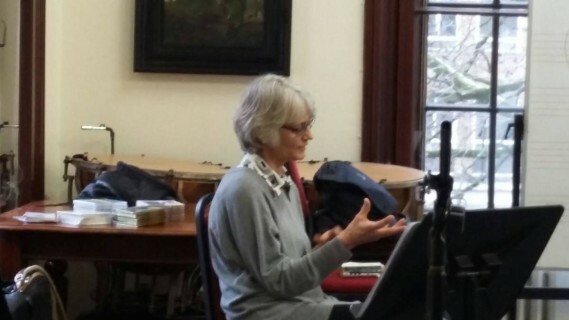 Attendees found the similarity between the way Ms Street plays and the jazz voicings pianists use in their left-hand, particularly stimulating. Then Simone Zanchini and Karen Street combined to get everyone improvising. The RAM students who had played earlier also joined in and gave jazz a try too which was very pleasing to see. Karen Street then gave us a wonderful performance of her solo playing so the audience could fully experience what her sound is really like which was much appreciated by the audience and Mr Zanchini alike. 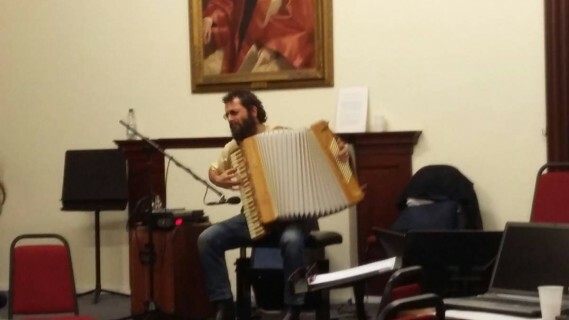 Finally, Simone Zanchini gave a talk on his approach to improvising, what his influences were and some of the jazz accordion greats he had the fortune to play and record with. 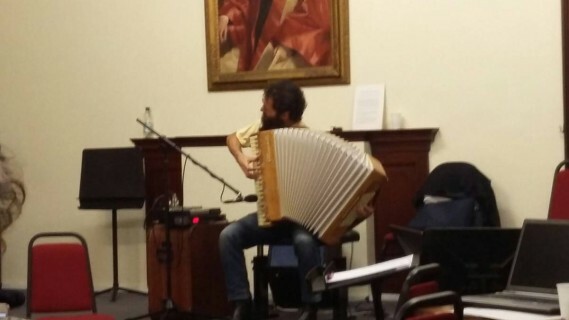 He also gave us an insight into his idea of sound and the acoustic experiments and innovation he has incorporated into his accordion. 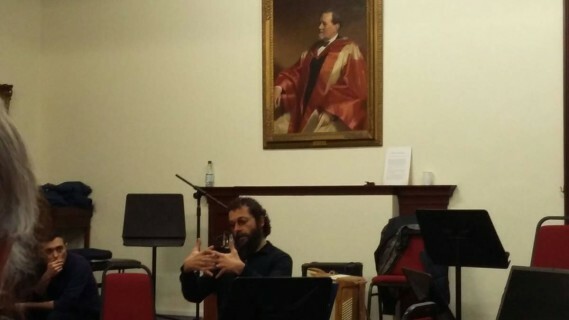 He talked of the importance of confidence in delivery and sound projection when improvising and the inevitable practise that goes into learning the “coding” of the different styles and genres of music he calls upon during his improvisations some of which he owes to his classical training at Pesaro conservatoire under Sergio Scappini. He rounded off with a jaw-dropping 30-minute improvisation incorporating many of the jazz styles he had spoken about during his talk. Happily, all the feedback about the event was very positive indeed and it was felt that generally there is a need for this type of workshop and that they should happen more often. 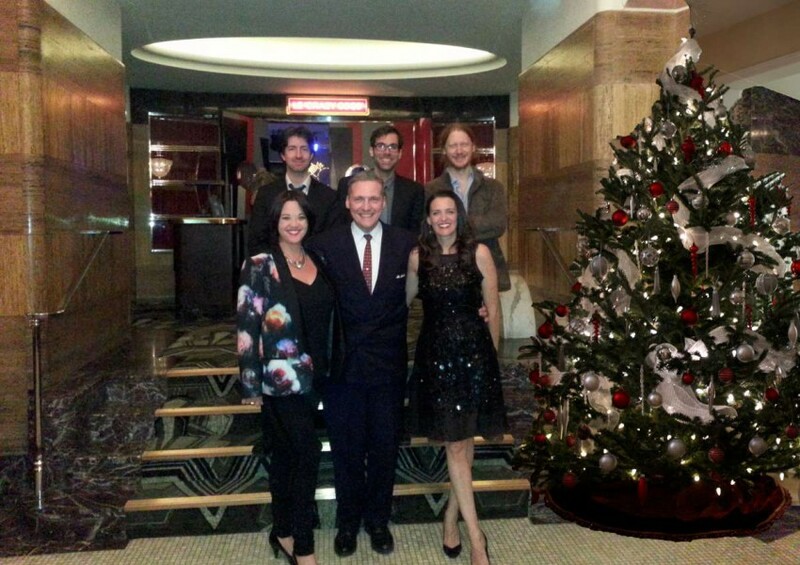 After their successful autumn trip to New York’s 54 Below and Birdland don’t miss a wonderful Christmas Cabaret at The Pheasantry, King’s Road, Chelsea, London on the 20th December 2015 (Doors at 18.30). The West End’s Joanna Strand and Jacqui Tate will be singing some wonderful songs and plenty of Christmas tunes to get you in the mood for seasonal celebrations. Fun for all the family. They will be accompanied by Romano Viazzani on accordion, John Bailey on Piano, Jason Reeveon Drums and Nick Pini on Bass. Watch out for more cabarets in 2016. Avoid the website it doesn’t work! Better to call the Box Office on 0845 6027 017 (Mon to Sat, 10am to 5pm). 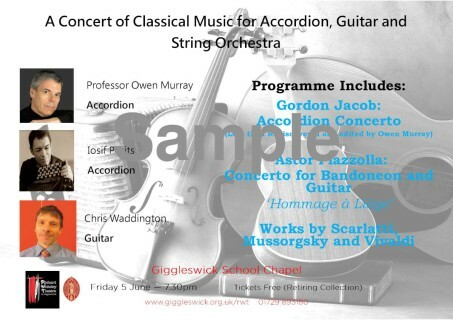 Professor Owen Murray and one of his students at the Royal Academy of Music, Iosif Purits, along with Guitarist Chris Waddington present an evening of classical music for Accordion, Guitar and String Orchestra in the stunning surroundings of Giggleswick School Chapel on Friday June 5th 2015. 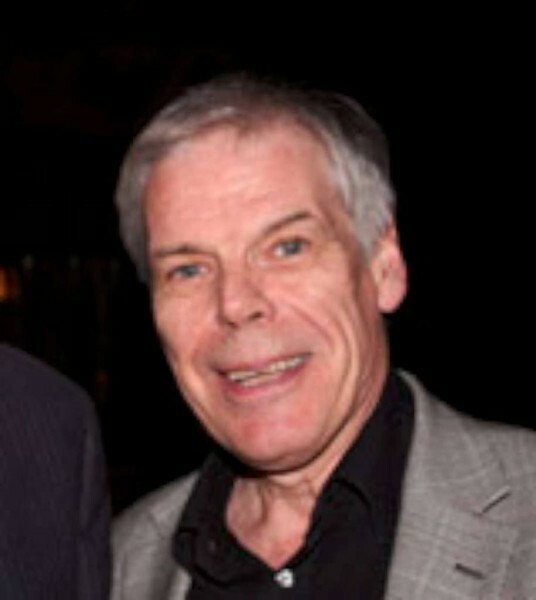 Performances will include the Gordon Jacob Accordion Concerto which was rediscovered and edited by Owen Murray in 2014. The Concerto for Bandoneon and Guitar (Hommage à Liége) by Astor Piazzolla and other works by Scarlatti, Mussorgsky and Vivaldi. 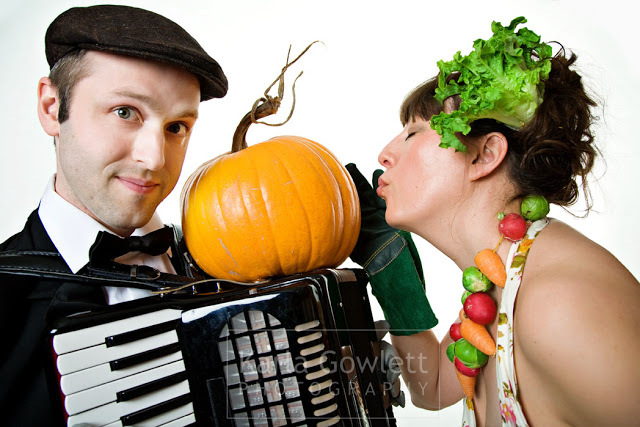 An accordion concerto performance is still quite a rare event in the UK and not to be missed. Tickets for this unique concert are free and can be reserved online at www.giggleswick.org.uk/rwt There will be a retiring collection at the end of the concert. 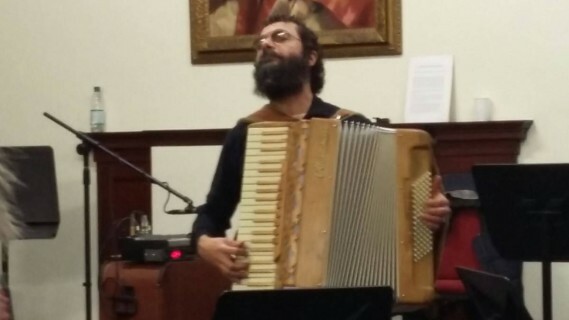 With performance by accordionist Romano Viazzani. 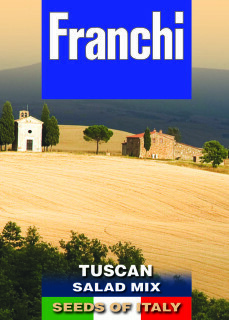 Italy joined WW1 in 1915 on the 23rd of May and Italian forces fought alongside British and French soldiers. 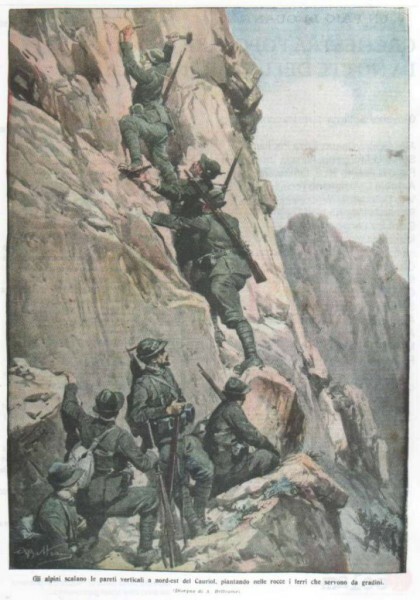 The conflict in the Alps was every bit as horrendous as the trenches of Northern France. 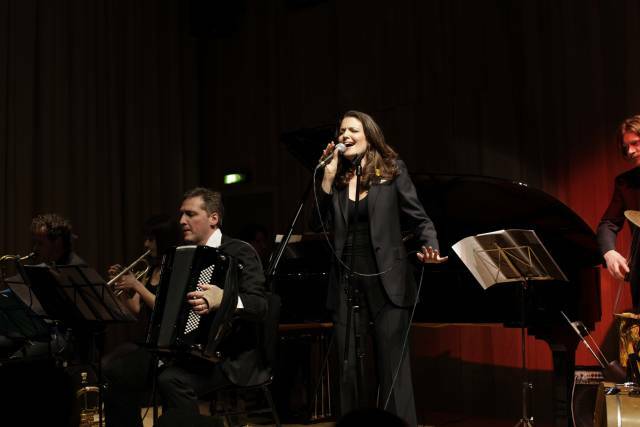 In remembrance of the centenary of Italy entering WW1 and for all those who died on all sides, Seeds of Italy are holding a very special daytime concert at their performance space in Harrow headquarters featuring music that Italian troops would have recognised, both popular and classical. Click here for details. 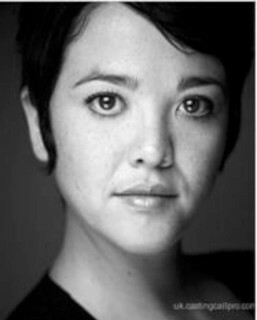 Joanna Strand has given the Cabaret-going public some great entertainment in the last few years at The Pheasantry, The Forge, The Jermyn Street Theatre in London and the Carlyle and Feinsteins in New York. 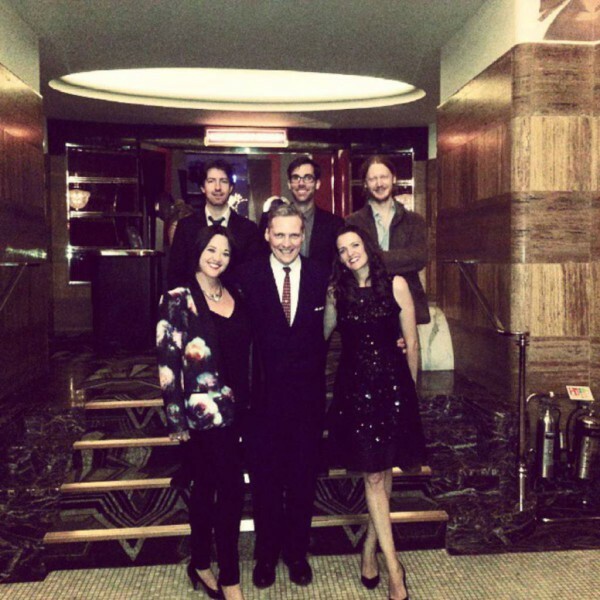 London’s top Cabaret venue, the wonderful The Crazy Coqs in all its Art Deco glory now beckons and June 2nd, 3rd and 4th 2015 see three nights each with a different headlining artist sharing the platform with Joanna. 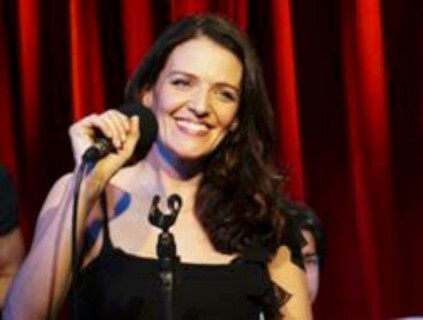 On June 2nd it will be with fellow West-End performer Jacqueline Tate with whom she has shared many a successful night in the past. 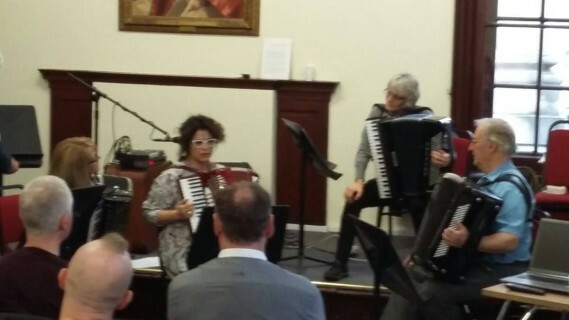 The 3rd June sees a Parisian theme and Joanna will sing some wonderful French and French-inspired songs alongside some wonderful accordion pieces performed by Romano Viazzani. (He will also be part of her wonderful ensemble on Tuesday 2nd June, alongside Nick Pini on Double Bass, John Bailey on Piano and Jason Reeve on Drums). 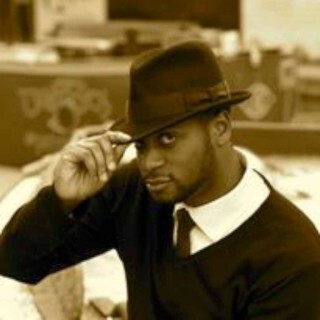 Thursday 4th June sees songs from the stage and the opera with baritone Rodney Earl Clarke sharing the stage with Joanna. 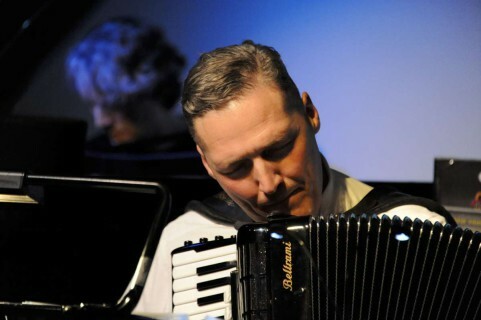 For accordion-lovers there will be some great solos as well a some great new arrangements of songs and Instrumentals. An event not to be missed.Book tickets now. 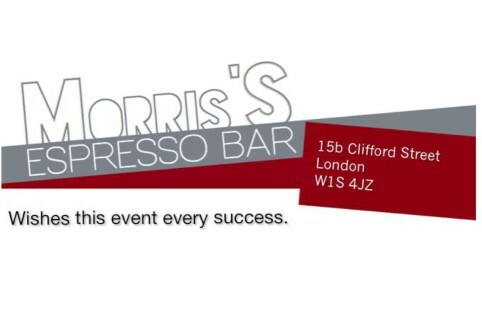 Our thanks to Seeds of Italy and Morris’s Espresso Bar for their kind sponsorship of this event. 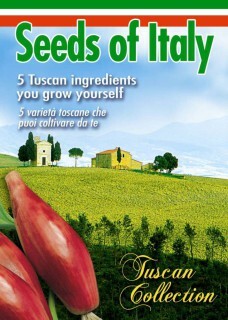 Italian ingredients you grow yourself!